“Home wasn’t a set house, or a single town on a map. It was wherever the people who loved you were, whenever you were together. Not a place, but a moment, and then another, building on each other like bricks to create a solid shelter that you take with you for your entire life, wherever you may go.” ― Sarah Dessen, What Happened to Goodbye. A house is made of bricks and stone but only love can make it a home. Love and togetherness should be the main theme of every home. We should know that a hundred-percent harmony in any home is next to impossible. There will be marked differences between the natures and behavior of the members of the home. These are all natural and common. Well, home is where our heart is. And while designing our home or rather the interiors of our home, we need to take care of how we design because placing it wrongly can have an adverse effect on the family so we need to put in efforts to design in such a way that home is filled with lots of positive energy as well as harmony among the members of the family residing in. To bring that, there are various aspects to increase the love and togetherness within the family while designing the interiors. Feng Shui is an ancient Chinese art of placing or arranging important objects to boost the circulation of “chi,” or the positive forces and to reinstate the balance of energies in an occupied space or home. A harmonious, healthy home is one of the goals of feng shui. When you design or rearrange the interiors within your home, you are indirectly changing the energy and the flow. Now, the art of feng shui is to direct the positive energy across the whole home. Feng Shui can help in attracting more love and togetherness in our home. So let’s explore how feng shui can help in creating a happy home. Place a feng shui fountain in the East area of your home. Be watchful about keeping the water clean at all times. Place some Feng Shui crystals or tumbled stones in your fountain for more energy. Keep your bedroom as well as children’s bedroom neat and tidy. It should be free of clutter. De cluttering of the whole house should be done regularly to have fresh and nourishing energy. Another Feng Shui tip for love is to be sure you have the right size bed. If it’s too big then partners may drift apart and if it’s too small, then a feeling of inadequacy may arise in the relationship. Remove TV and never sleep with electronic gadgets like phone or laptop buzzing near your bed. The bedroom should be low-tech and romantic. No mirrors should be placed opposite windows. “If you want to start or sustain a relationship, don’t surround yourself with single imagery”, says Laura Benko, feng shui and holistic design expert. Always keep doubles in whole house like two pink candles, two wine glasses, two pillows, two sitting chairs, or two lamp shades. These pairs are the best to encourage love and togetherness. No solitary/lonely images in art or solo photographs should be kept. It is vital to produce the energy of partnership so you should always surround yourself with pairs of everything. 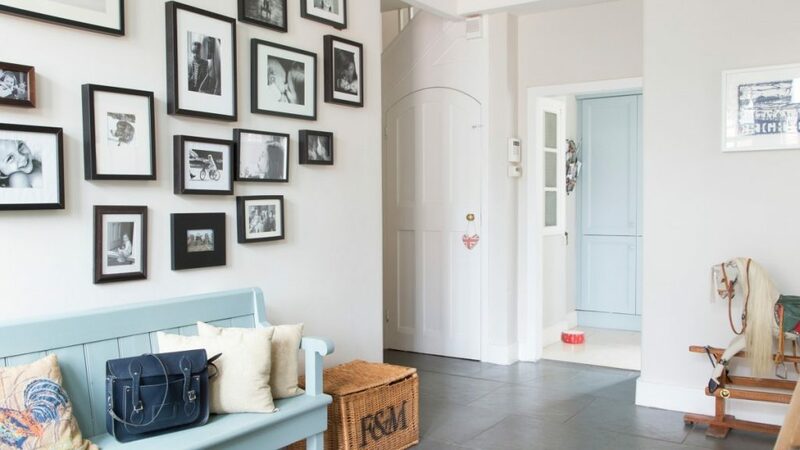 Family photograph’s place are best in hall or stairway walls and remember to keep lots of them. In the master bedroom, to enhance your marriage, always keep happy, smiling or romantic photos of you and your partner. Photos displaying wedding pictures, couple holding hands of each other, or displaying affection are the suitable photographs in your master bedroom. Never to place family photos in your master bedroom. Avoid photos depicting anger or negative things. Photos or artwork should always be inspiring and appealing. Another important area in your home is the dining area which depicts love, communication and togetherness. To keep it intact, the dining table should be such that everyone can see each other. Dining table should be round in shape to stimulate communication and togetherness. Avoid sharp edges and it should be always set with chairs even if it’s not been used regularly. Bedrooms are for rest and romance only. 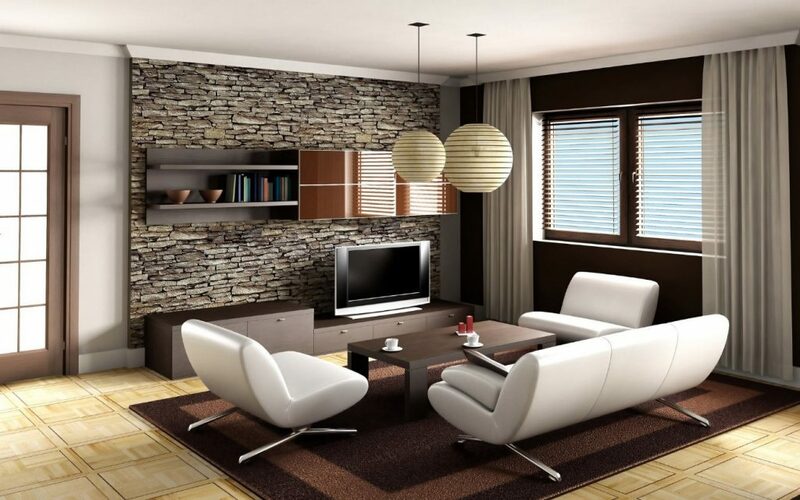 Designing this area is a crucial part so as to increase the intimacy in your home. 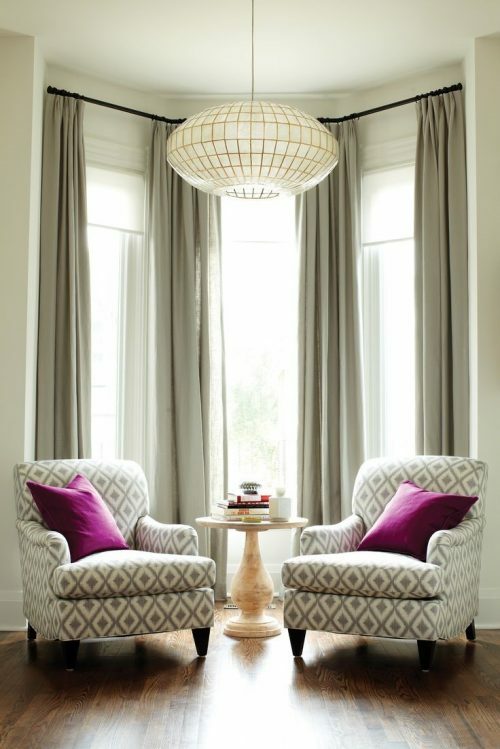 Window curtain or drapes should be heavy and cozy. Keep photos that uplifts the mood like artwork that has romantic or paired themes. Keep photographs of happy couples and avoid kids and family pictures in bedroom. Also avoid artwork of storms, war, anger or fight, a desolate winter landscape, a lonely person, etc. Pairing is most important. Add things in pairs that are of equal size to indicate balance. Bed should be kept in the middle of the room to depict equal space and room to enjoy the relationship. Beds attached to the corner or against two walls depict other partner being trapped in the relationship. 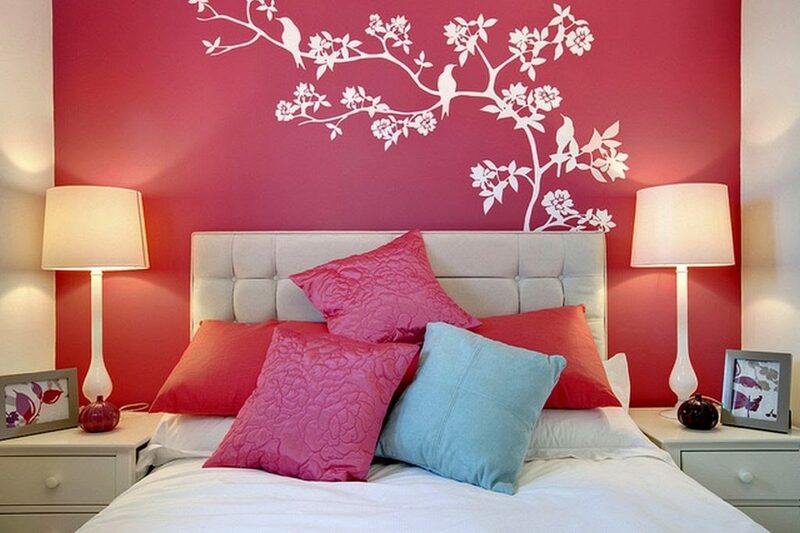 Pink is the color of relationships in feng shui which promotes passion joy, happiness and romance in your love life. It is not necessary that the whole room be painted with pink even a splash or a design on a wall will do or a lighter shade or pink objects is enough. Alternatively, light blue is a positive relationship color. 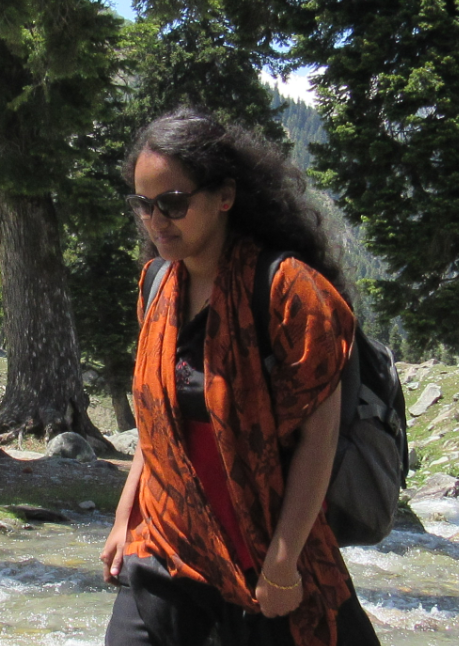 To know more on colors, check out the article – Influence of Colors in Lifestyle. Incorporate plants in your home to bring in more positive energies and to attract more love and harmony. Such plants are Orchids, Bamboo, Basil, Jasmine and Lavender. Orchids are not only beautiful and easy to take care off but they also attract love, friendship and soothes the soul. 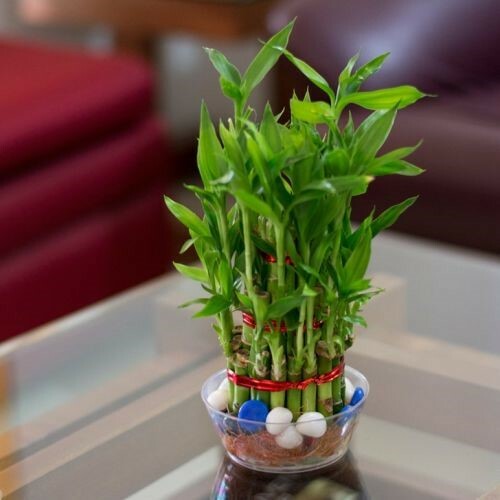 While Bamboo is known for attracting joy and wealth, it also offers protection and brings good luck and health. Stuck in life or if depressed, then bamboos are the best bet. But according to feng shui, plants are not recommended in bedrooms. An extremely popular trend now-a-days is the love infinity symbol. The meaning behind an infinity symbol is it symbolizes eternity and everlasting love. It reflects this idea of forever. 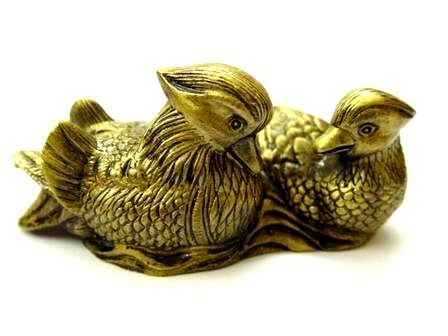 While looking into interior decoration keeping love in mind, this symbol is sure to score high. 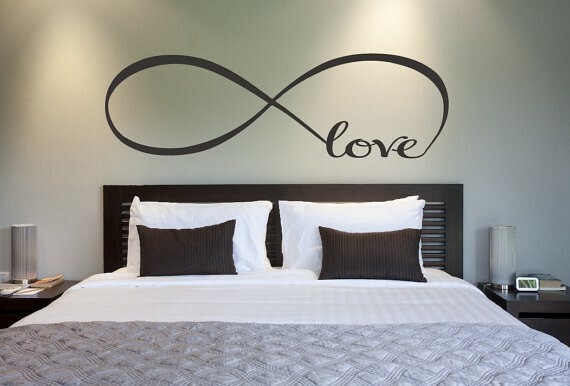 Bedroom wall with the love infinity symbol as shown in pic beside is a sure shot beauty as it enhances the bedroom décor as well serves the purpose of sustaining love in one’s life forever. Well, it is truly a blessing to have a home where there is a loving family to tend to who have stood firmly together at all times. Life was so simple in earlier times but that is not the case now, things have drastically changed. Stress have become a part of our lives. The beauty of indulging in these discussed lifestyle and decors will bring out the essence of life in its purest form and leading to a harmonious and loving life and will fetch you more beneficiary results.